95% of apps downloaded are abandoned within a month - 1 out of every 4 a day. You can now create dynamic user experiences for your app audience based on users' behavior and lifestyle to keep them hooked. Differentiate your app and drive global optimization with a personalized UX. 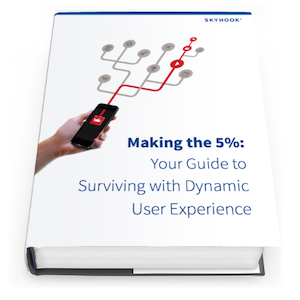 Download this eBook and learn how location-based context can help you stay in the 5% by helping you to: enhance user engagement with rich audience context, deliver valuable user experiences with appticipation, and increase downloads, repeat sessions, and in-app revenue.